Suzuki has launched a new SX4 line-up, delivering more power, more fuel efficiency, more safety and more creature comforts. An evolution of one of 2007’s groundbreaking cars, the new SX4 range adds real customer benefits including a more powerful, fuel efficient engine, a new six-speed manual transmission, new Continuously Variable Transmission (CVT) and ESP® stability control across the range. “SX4 set a new vision for small crossover vehicles when it launched and the updated version continues to stamp Suzuki as a significant player in the local industry,” said Suzuki Australia General Manager Tony Devers. An excellent combination of style, space, high driving position, practicality, and fuel economy makes the new SX4 compulsory driving for any customer considering a quality small car. And its sturdy, eye-catching exterior styling shows that it’s an urban warrior with a strong sense of fun. A small turning radius, well matched gear ratios, a highly rigid body structure, and suspension tuned for the road make for a nimble, fun driving experience. But the SX4 hatchback is not just fun in the city; it can handle the great outdoors, too. With two-wheel drive and an optional intelligent All-Wheel Drive (i-AWD) system, the SX4 hatchback caters to every lifestyle and is one of the most affordable all-wheel-drive (AWD) cars on the road. The i-AWD system allows the driver to switch from 2WD mode to 4WD auto mode or 4WD lock mode at the press of a switch, so the enhanced grip on rough terrain is achieved without sacrificing low fuel consumption in the city or on a long run. The raft of changes for the 2010 range begins under the bonnet, with the inclusion of a new J20B 2.0 litre four cylinder engine. Boasting variable valve timing, the new engine sees power increase 5 per cent to 112 kW and torque rise 3 per cent to 190 Nm. The introduction of a new six-speed manual transmission has contributed to improve economy by 11 per cent to 7.3 litres per 100 km, with emissions dropping 12 per cent to 170 grammes CO2 per km. The optional Continuously Variable Transmission (CVT) has improved economy on the superseded automatic version by 16 per cent to 7.6 litres per 100 km, with emissions dropping 17 per cent to 178 g/km. Safety levels have also risen with the inclusion of Electronic Stability Programme (ESP®) on every model, while rear disc brakes are now standard on the sedan. The all-new 2.0 litre engine represents a significant upgrade for Suzuki’s small car range. Designated J20B, it features variable valve timing (VVT) and comes matched with two all-new transmissions, and ensures the SX4 boasts performance and economy credentials that put it on par with the class leaders. Power output has risen from 107 kW to 112, while torque has increased from 184 Newton-metres to 190, ensuring SX4 performance levels are near best in class. Importantly, the extra performance has been matched with significant efficiency improvements that make the SX4 one of the most eco-friendly cars in the small car market. Fuel economy on the 2WD manual version is now just 7.3 litres per 100 km, while the new CVT has improved economy on the automatic version to 7.6 L/100 km, which puts it squarely among the class leaders. CO2 emissions have also been cut, with the manual version dropping from 193 grammes per kilometre to 170, while the CVT version falling from 215 g/km to 178. Devers said the powertrain upgrades made SX4 one of the best performing and fuel efficient small cars available today. “Customers have always enjoyed the power of the SX4; now they can do it without paying an impost at the petrol pump. The improvements are a result of lower friction levels, enhanced thermal efficiencies, and increased rigidity. Piston friction levels have been lowered by adopting low tension piston rings, low load valve springs and a new chain adjuster. Power output has improved with the employment of a new enhanced coupling between the engine and transmissions, significantly reducing mechanical loss. In addition, the improved rigidity has resulted in improvements to NVH levels. The J20B engine features a new cylinder block design and plastic cylinder head cover, while cooling performance has been enhanced via the introduction of a thin axis spark plug. Thermal efficiency has been improved by increasing the compression ratio from 9.5 to 10.2:1. All that technology is matched to two new transmissions engineered for optimum performance and efficiency. A new Continuously Variable Transmission ushers in a new era for Suzuki customers, offering seamless gear changes and new levels of refinement. The CVT controls are similar to a conventional automatic, with an accelerator and brake pedal and a P-R-N-D-style shift pattern. However, while a traditional automatic transmission has a set number of gear ratios – four in the superseded SX4 - the CVT can constantly change the relationship of engine to car speed, resulting in an infinite number of 'speeds'. By controlling the width of two pulleys on input and output sides, CVT enables the engine to maintain its most effective revs for a range of vehicle speeds. CVT offers a more comfortable ride, as there is no dramatic rev fluctuation that often occurs with conventional automatic gear shifting. Also, CVT minimises the chances of a temporary speed loss in shift up or unintended kick-down when going uphill. Acceleration is smooth, because the engine revs are ideally adjusted in accordance with the pressure on the accelerator pedal. Because the engine revs are constantly adjusted at an ideally low rate, in cabin noise is kept at minimum levels, making the ride more comfortable and quieter. The new CVT is perfectly matched to the specific speeds of the new SX4 engine, be it for torque (take-off), horsepower (overtaking) or fuel efficiency. Because there are no gears to tie a given road speed directly to a given engine speed, the CVT can vary engine speed as required to ensure optimum power and fuel efficiency. This allows the CVT to provide quicker acceleration than a conventional automatic or manual transmission while also delivering superior fuel economy. 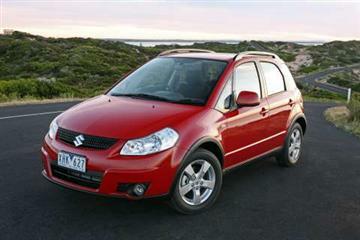 Suzuki will offer CVT on all versions of the new SX4. All models will feature a traditional stick shift lever, allowing drivers to shift ratios manually. Owners of the ‘S’ version will have rally inspired steering wheel mounted paddles as well. “It’s designed to allow the driver to access higher revs and a lower gear ratio through an entertaining section of road, or for low speed traction in snow or on a sandy beach,” said Devers. Manual mode is engaged on the entry level SX4 by shifting the gear lever across, and then selecting the six pre-set ratios with a shift of the lever forward (downshifts) or backward (upshifts). Enthusiast drivers can automatically engage temporary manual mode by shifting either the left hand paddle (downshifts) or right hand paddle (upshifts), with the selected gear prominent in the centre stack information display. The temporary manual mode reverts to conventional CVT if a low driving speed is maintained, or the accelerator is pressed and held for more than a few seconds. Similar to its entry level sibling, shifting the traditional gear lever across engages full-time manual mode in the S model. All versions of the new SX4 will come standard with a new six-speed manual transmission. Manufactured by SMC, the extra ratio is well matched to take advantage of the increased power, while further improving fuel economy. The extra ratio has ensured smaller gaps between each gear set, providing excellent performance and fuel economy and features double cone synchronisers on all ratios to ensure a smooth, positive gearshift action. The range topping SX4 AWD hatch retains its signature feature; Suzuki’s lauded i-AWD (intelligent All Wheel Drive) system, a switchable three mode 4x4 system (2WD, 4WD Auto and 4WD Lock) that delivers all wheel traction to suit the varied traffic situations and weather conditions faced by Australian motorists. The “intelligent” 4WD controller constantly monitors driving conditions in order to deliver the most efficient division of power. The key delivery component is an electronically controlled wet-type multi-plate clutch coupling, in which the degree of magnetic clutch action is modulated to match traction needs. The electronic coupling device works according to instructions from the AWD controller, which collects the information from the switch mode, ABS controller and engine management system. 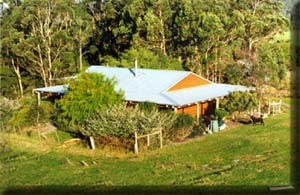 2WD – Only the front wheels provide the drive in this mode, which is the most economical setting. The 2WD drive mode is ideal for driving conditions on dry surfaces, while the addition of ESP® stability control ensures high safety levels. 4WD Auto – The standard mode for driving, with almost all the torque distributed to the front wheels. Torque going to the rear is automatically increased or decreased to match traction requirements in variable conditions such as when driving on slippery surfaces. The value of this system can be seen when taking off, with the 4WD Auto sensors constantly monitoring the throttle sensor and the speed of both the front and rear wheels. If the system senses the front wheels starting to spin, it automatically sends torque to the rear wheels to ensure a smooth – and safe – take-off. 4WD Lock – Lock mode provides ample torque to rear wheels from start up for effective escapes in low traction conditions such as mud, snow or beach driving. The system automatically switches over to - and remains - in 4WD Auto at speeds over 60 km/h. In both 4WD Auto and 4WD Lock, torque to the rear wheels is capped at a maximum 50 per cent. “High levels of active and passive safety have always been a hallmark of Suzuki design, and the new SX4 range continues that trend,” said Devers. ESP® features a series of sensors mounted at each wheel, on the steering wheel and a yaw – or lateral motion – sensor located in the centre of the car. These sensors constantly measure information at a rate of 50 times per second. When understeer or oversteer is detected, ESP® reduces torque and applies hydraulic pressure at the target wheel to ensure smooth, safe driving. The ESP® system also incorporates Traction Control System (TCS). TCS reduces engine torque or applies hydraulic pressure to driving wheels according to the state of wheel slip during vehicle take-off or acceleration. This ensures optimum stability – and safety – during take-off or under heavy acceleration. The extra security added by ESP® complements the already high safety levels of the SX4 sedan and hatch. It begins with the high torsional strength of a rigid steel unibody, originally developed for the award-winning Suzuki Swift. Add to that six airbags - including side curtain airbags - in every model except the entry level 2WD hatch, and the SX4 once again sits among the class leaders. Originally inspired by a Japanese Kabuki mask, the SX4 range features a series of design upgrades inside and out. The 'muscular' stance of the sedan is accentuated by the addition of a boot-lid spoiler and stylish 17 inch alloy wheels. Both the entry level 2WD hatch and AWD hatch have 16 inch steel wheels with a modern cover, the AWD S version boasts new 16 inch alloys, while the 2WD S and Sedan now feature stylish new 17 inch alloy wheels. A new mesh grille is standard every model in the line-up. The interior, too, has come in for major revisions as Suzuki takes the SX4 upmarket. There’s a new meter cluster with an integrated digital information display. The control panel for the climate-control system has a completely new design with an all-new digital display. And in response to customer demand, Suzuki has provided backlighting for the steering-wheel-mounted audio switches. High-quality seat materials soften the ride, and the rear seat has a 60:40-split single-folding design for maximum flexibility. Ample interior space provided by a high roofline combines with the flexible seating to enable the SX4 hatchback carry five adults in comfort. Newly added touches of luxury include soft pads on the door armrests, chrome-plated door handles for the S version, and a dashboard centre speaker. The sedan, S hatch and S AWD all retain Suzuki’s keyless start system. 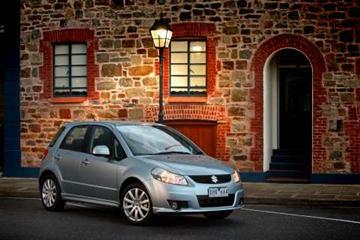 The new SX4 range further emphasises the Suzuki philosophy of outstanding value for money.